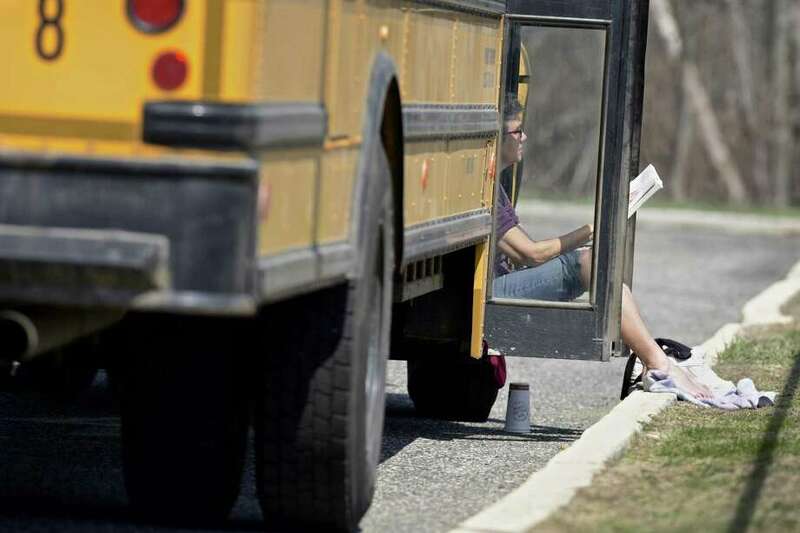 Priscilla Parzuchowski, a bus driver from First Student, reads a book and catches some sun. A second Weston school district employee has been fired for allegedly stealing gasoline from the district. “Following a thorough investigation, Rocco Popoli has been terminated as the working grounds foreperson for Weston Public Schools and from all other duties and responsibilities with the District,” according to a letter sent to parents last week.” The investigation revealed that Mr. Popoli stole fuel from the District. Lustberg was also removed from his role as head coach of the Weston High School Softball team. Both cases have been referred to the Weston Police Department, which did not immediately return calls for comment.